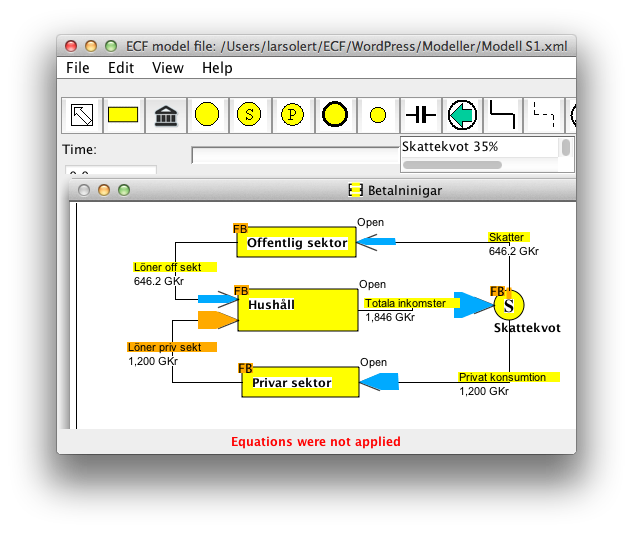 Then, the fault can be searched using Calculatordialogen. The model has five streams, one of which is prescribed. There are four unknowns. 5 conditions (equations) are given which is an equation for much. 4 equations have been used and an equation is unused. The diagnosis says that tax ratio is redundant but I know there is a flow balance too much (for retail). It is not possible to provide flow balance for all three sectors. The flow balance is automatically given by the other two.